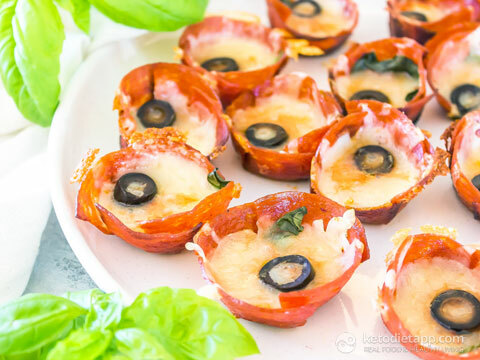 These little pizza cups are a great low-carb snack! 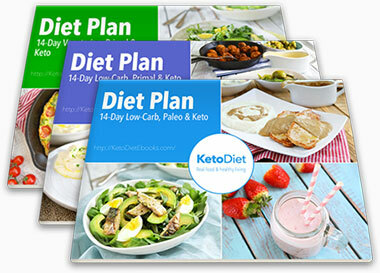 It’s one of those keto recipes you will want to make over and over again. 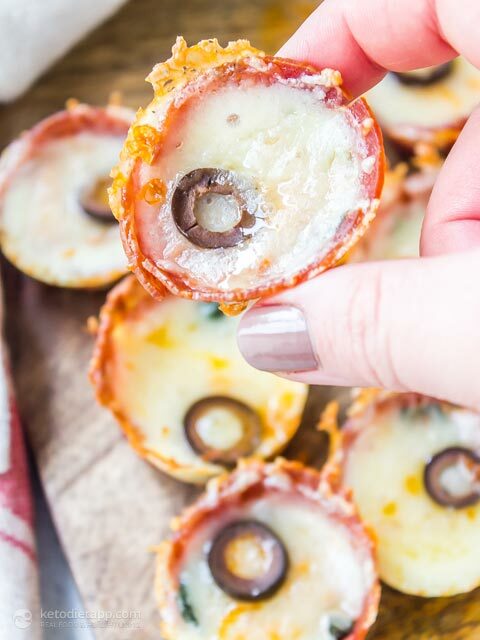 They’re like your favorite pizza topping made into bite-sized snacks. 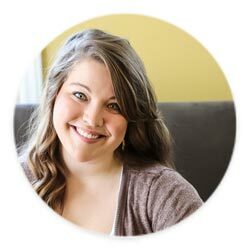 They can be customized by using any keto-friendly toppings you wish. We simply used homemade Low-Carb Marinara Sauce, fresh basil and olives. Make sure there are no added sugars if you use store bought. You can even use some cooked spinach, mushrooms or bacon pieces. You can also swap the marinara with any homemade pesto. The options are endless! 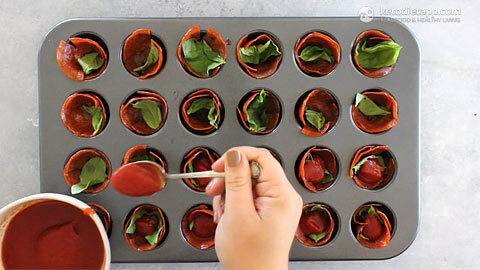 Just be sure to buy sandwich style pepperoni so they’ll be large enough to make little cups. Enjoy! Preheat oven to 200 °C/ 400 °F. Using kitchen scissors cut each pepperoni on 4 sides equal distance apart leaving the middle intact. 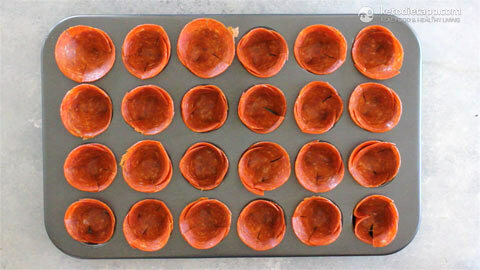 Place each pepperoni into a mini muffin pan and bake for 6 minutes. Remove from oven and layer in the basil and marinara sauce. 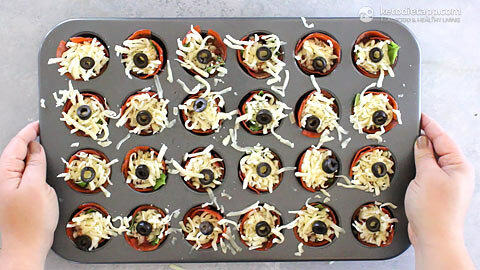 Add the shredded mozzarella and sliced olives (one slice per cup). Return to oven for another 6 minutes. Cool 5 minutes before transferring to a serving platter. These cups keep really well in the refrigerator for up to 2 days. They’re delicious cold but can be reheated in the microwave or oven. I made this and it was fabulous. I am super picky about pizza sauce so I tried it with Bruschetta instead (that’s what I use for my home made pizzas) and it was perfect. Hello! This looks delicious! How many bites per serving? 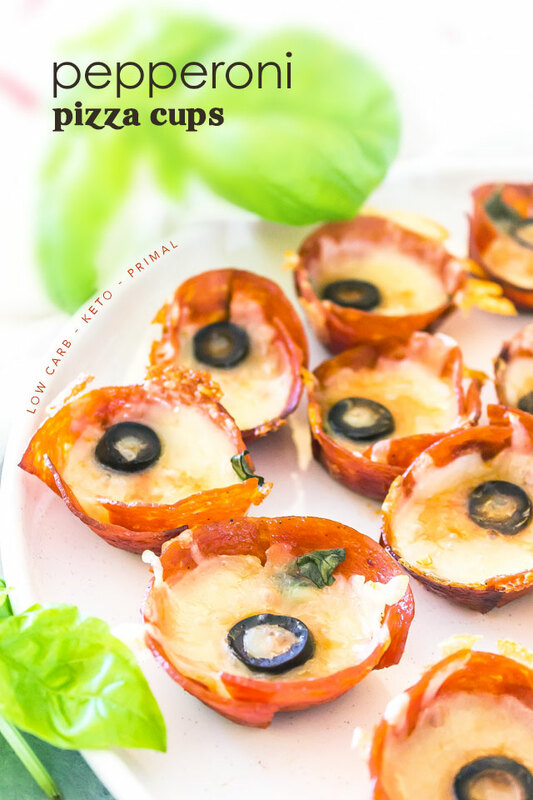 delicious bites and so easy to make. Thank you! 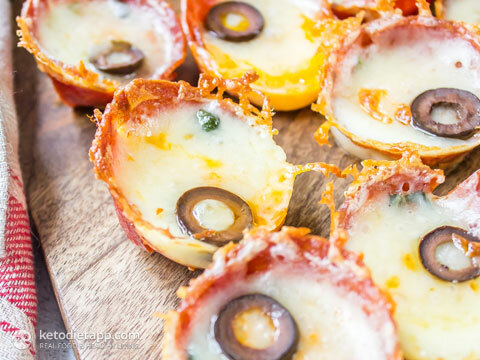 Real little pizza bites! I love basil and olives, so this combination is just heaven. I suppose the only trick with these is to either make your marinara sauce yourself or read the labels very carefully.